A number of moving prayers can be found in the Old Testament and throughout Scripture. 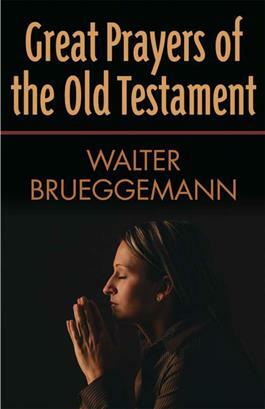 In this accessible volume, world- renowned scholar Walter Brueggemann offers his insight and wisdom on twelve prayers in the Old Testament, listening to the biblical text and explaining how these examples of ancient prayer can make prayer come alive for us today. Among the prayers explored are those by Abraham, Moses, Hannah, David, Solomon, Jonah, Jeremiah, Hezekiah, Ezra, Nehemiah, Daniel, and Job. The prayers in this volume express joy and lament and show the depths of human experience and the majestic grace of a loving God who hears everything and takes every prayer to heart.